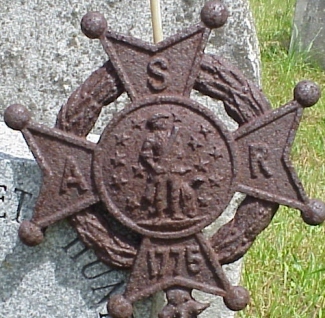 Rusted, new, or painted, these SAR markers are large and distinctive in the graveyards. 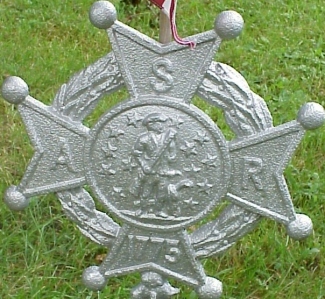 The S.A.R. 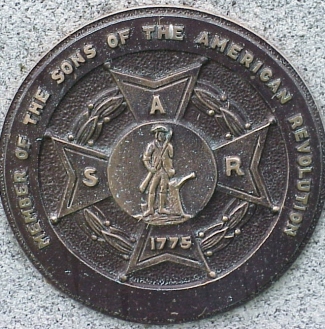 was founded in 1889 as a patriotic organization intended to keep alive the memory of those who fought in the American Revolution and to promote fellowhip among their (male) descendants. 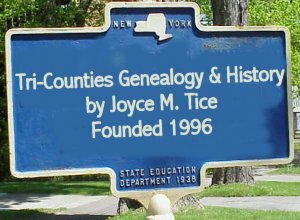 They also mark burial spots and work to preserve the historical records. 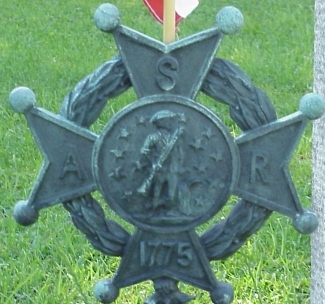 Their plaques and flagholders may be on members' graves or on soldiers' graves.